Perhaps I’m eating my words today. A while back I wrote a post about how the teen years didn’t need to be painful. Still true, (sort of) but today that truth is colored by an emerging revelation: I’m annoying. And smothering. Yep, somehow overnight I’ve gone from humorous to teeth-gritting irritating. Now, I know this is a phase, and likely a normal one as our daughter moves from dependency to indepence, but it still hurts. And if I’m not careful, I’ll allow my heart to lead, turning into her friend rather than her parent. Only that would not be an act of love. That would be an act of selfishness. Love takes the hard route, does the hard things, says the hard things, regardless how the other person will respond. This is especially true in parenting. Oh, how we long to have special, giggly moments with her our children. How we long to be their friends. But we’re not. We’ve got a God-given responsibility to raise them with diligence and excellence. And at times, that may make us look like the enemy. But love looks past the present and the emotions involved. Love looks for the good of others and does whatever it takes to see that person succeed and grow closer to their Savior. I found today’s story almost comical. It’s a snapshot into a father’s life where this friendship thing is taken to the extreme, but hopefully the humorous extreme will encourage us to evaluate our parenting. Are we doing everything we know to do to see our children grow, or are we seeking the path of least resistance? Superman fell from the sky, collided with a skyscraper, and bounced off as it toppled. The action figure crashed into a green stegosaurus grazing at the foot of the sky blue leather sofa. Mild-mannered janitor Dave Johnson set the cardboard skyscraper upright again in the model city erected on his steel gray living room carpet. When would his son ever learn? He glanced to their chipped oak entertainment center. The DVD player’s clock read 4:37 p.m. Time to get ready for work. He jogged into the master bedroom, stripped off his vintage Spider-Man PJ’s, and changed into the stone gray coveralls Naomi had laid out for him on her girly yellow comforter, which covered their Queen Anne style bed. Where was his government-issued, navy blue baseball cap? He usually left it on the stack of red milk crates filled with the newer additions to his comic book collection. He spotted it atop his collection of every superhero DVD box set known to man. Grinning, he snatched the hat up. Aha. No lowly work accessory could outsmart Mild-Mannered Janitor Dave Johnson. He set the cap askew on his head, patted his breast pocket, and hit thin plastic. Good. Not only would it be embarrassing if he lost his security pass a third time this month, he’d incur another $25 fine, and Naomi wouldn’t let him buy the Wonder Woman action figure he needed to complete his Justice League collection. “That’s as good a time as any.” Dave fled to the kitchen and sighed at the dining nook’s empty claw-foot pedestal table. Naomi had the boys eating dinner in their room again? Funny how that always coincided with the flow of lava. He grabbed his X-Men lunchbox from the stainless steel side-by-side refrigerator. He headed for the door to the attached two-car garage. “I’m the same man you married. You’re the one who’s changed.” He glanced at her pink polished nails. A sandy-haired Mary Jane met him at the altar twelve years ago. So how did he end up married to Lois Lane? Dave slammed the door behind him. Why couldn’t she understand? Superheroes did things he could only dream of. He wasn’t playing silly games; he was sharing his dreams with the kids. It wasn’t like his hobby kept him from working. He always brought home his paycheck, and he never complained about the tight hold Lois—er, Naomi—kept on the purse strings. Dave swallowed. He’d rather be beaten up by a tag team of the Rhino and Doctor Octopus. It’d be less painful. A freckled little boy on a bike darted out in front of him. Dave slammed his brakes hard. The truck stopped inches from the kid. Dave lowered his head onto the steering column. The boy cursed and rode away. Calm down, or you’ll kill somebody. By the time the narrator said, “And now for our story,” the pain had eased. 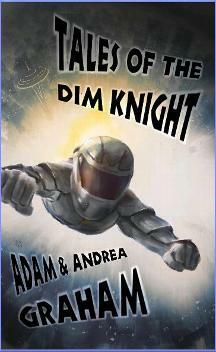 Order your copy of Tales of the Dim Knight now! 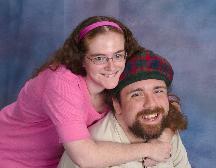 This entry was posted in God's Authors, intentional living, Let's Get Real, parenting and tagged andrea and adam graham, annoying, tales of the dim knight, teens. Bookmark the permalink.